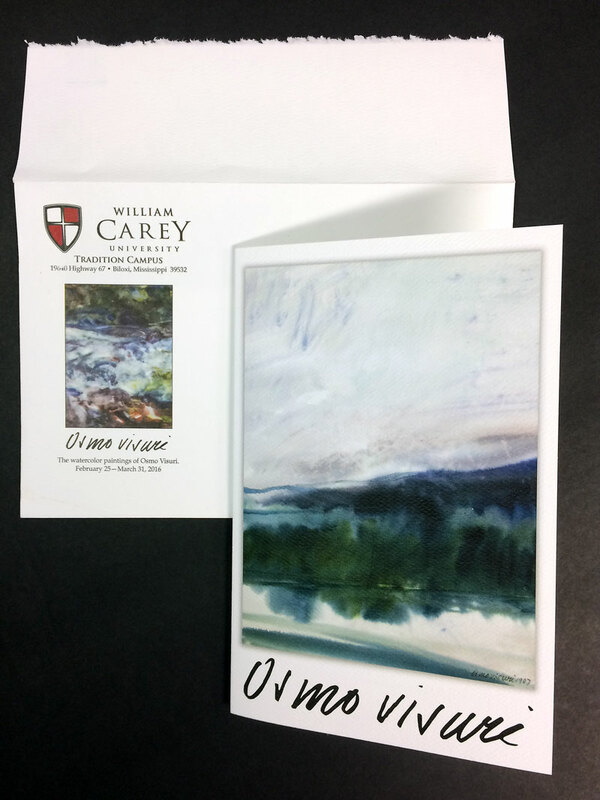 I designed this invitation for an exhibition of watercolor paintings by Finnish artist, Osmo Visuri. The paintings had been held by a local collector and friend of the artist for almost 30 years, unseen by the public. It was my great pleasure to assist in bringing this beautiful work out, to be enjoyed by all. 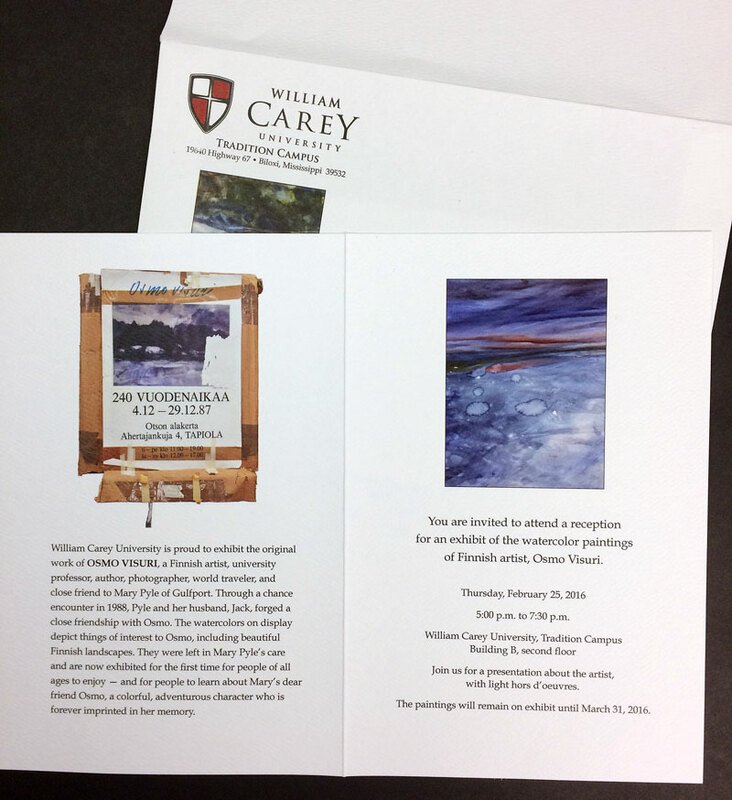 This invitation received a Silver Addy Award in the 2016 Mississippi Gulf Coast AAF Addy Awards. The Spray Gun is the Star.